The Chair of Ecology and Environment Protection (http://www.keib.umk.pl/?lang=en) is recruiting PhD student interested in studying evolution of morphological traits in plants at various time scales. The goal of this project is to contribute towards an understanding of how genetic architecture (the structure of genotype to phenotype mapping) affects the evolution of quantitative traits. According to quantitative genetics theory, the evolution of phenotypic traits depends on the strength of selection and the amount of genetic variation. However, part of this variation maybe constrained by correlations with other traits that are under conflicting selective regimes. In consequence, the ability to respond to selection (evolvability) may be limited, even if a trait has high heritability. However, the extent to which genetic architecture limits phenotypic evolution remains an open question. Likewise, it is unknown whether it affects evolution at the short time scale and is easily overcome by selection, or if the genetic architecture is an important long-term determinant of the direction of evolution. In this project we aim to answer these questions using two plant species from the family Apiaceae, Daucus carota and Ferula communis, as a model system. This project will be carried out in collaboration with Prof. Thomas Hansen (University of Oslo) and dr Krzysztof Bartoszek (Uppsala University). The ideal candidate will have a background in molecular biology/population genetics/phylogenetics, as well as experience working with Linux and modern programming languages such as R. Previous experience in generating and analysis of next-generation sequencing data will be considered positively. A condition of the application is a Master degree (or equivalent) in biology or similar subjects. The stipend for both positions is 3 000 PLN net monthly (app. 700 EURO) for three years. The living cost in Torun is low. For example, a room in a student house (inc. Wi-Fi, kitchen, heating, hot water) is app. 100-150 EURO monthly, loaf of bread 0.5 EURO, beer 0.5-0.7 EURO, beer in pub 1-2 EURO, dinner in restaurant 5-8 EURO. Nicolaus Copernicus University is located close to the medieval center of Torun (http://www.visittorun.pl/) which is listed among UNESCO World Cultural and Natural Heritage sites. Torun is a dynamic academic city and provides many opportunities for intellectual and cultural stimulation. The Vistula river runs through town and is ideal for the naturalists as many natural protected areas are located in its valley. (piwczyn@umk.pl). Feel free to contact him by email for further information. Review of applicants will start in the first week of August 2017. The positions will stay open until filled. 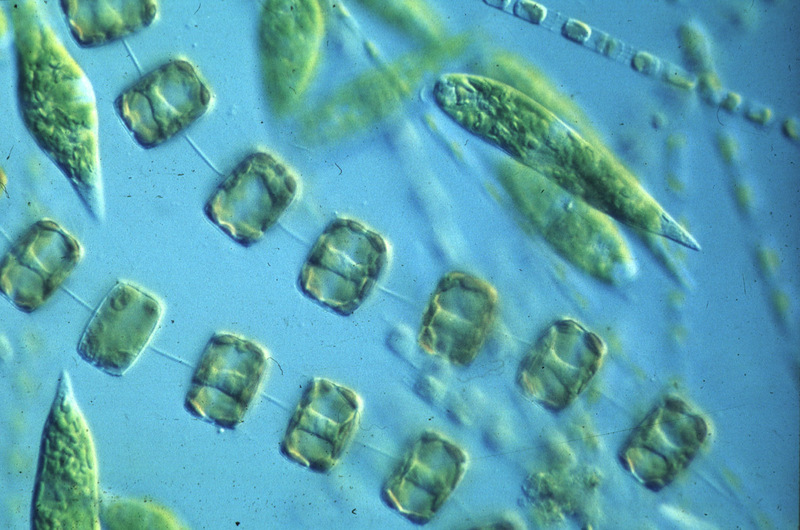 This practical course will present an overview of the microalgae – marine and freshwater, pelagic and benthic. We will cover the systematics, taxonomy and identification of ochrophytes (including diatoms), dinoflagellates, haptophytes, chlorophytes, cryptophytes, euglenophytes and cyanobacteria. Sessions will include lectures, fieldwork and laboratory exercises. The students will be trained in various techniques for identification and sampling. A number of expert teachers (currently confirmed: Wenche Eikrem, Bente Edvardsen, Nina Lundholm, Anna Godhe, Birger Skjelbred) are responsible for different parts of the course. Participants are expected to read the course curriculum (to be announced) prior to the course, and take active part in all sessions. Target group: PhD students, master students, postdocs, researchers, consultants, government officials, museum staff – with relevant background in biology. Accommodation, food and travel: Shared dormitory accommodation is free of charge. Meals are not included, but the station has cooking facilities and food can be bought and prepared together in shifts. ForBio will cover travel for Norwegian ForBio members. Number of participants: Maximum 20. In case of more applicants, participants will be selected based on the scientific, educational and/or professional merit of the course for the applicants, with priority given ForBio members and students/researchers enrolled in the Swedish Taxonomy Initiative (STIRS) or NABIS. Results of the selection process will be announced via e-mail ca. one week after the application deadline. Registration: By June 15th 2017. Please register using this online form, including a statement of motivation and a short CV outlining relevant experience and level of education. Questions: ForBio coordinator Aino Hosia or STIRS representative Maria Backlund.